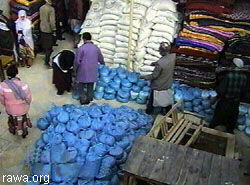 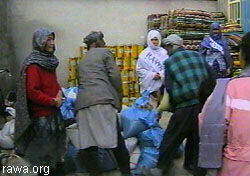 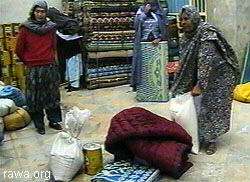 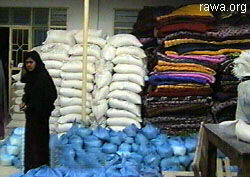 On Dec.16, 2001 RAWA distributed flour, ghee, sugar, quilts, rice, sugar, plastic mats etc. 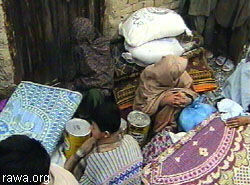 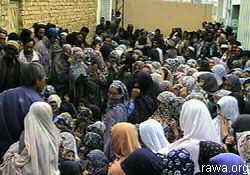 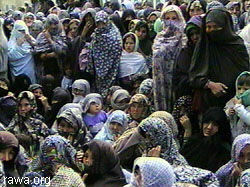 among 650 Afghan families in Quetta (Pakistan). 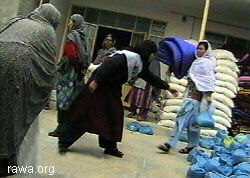 In the same days RAWA handed out foodstuff in Islamabad, Rawilpindi and Peshawar cities among the most needy portion of refugees.